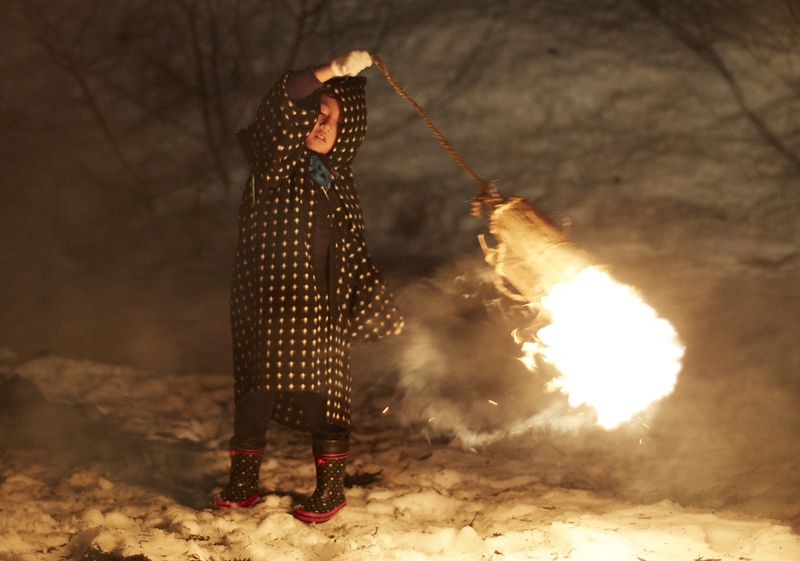 Here in Akita, we hold various so-called “koshogatsu” events (“Little New Year”) in February. 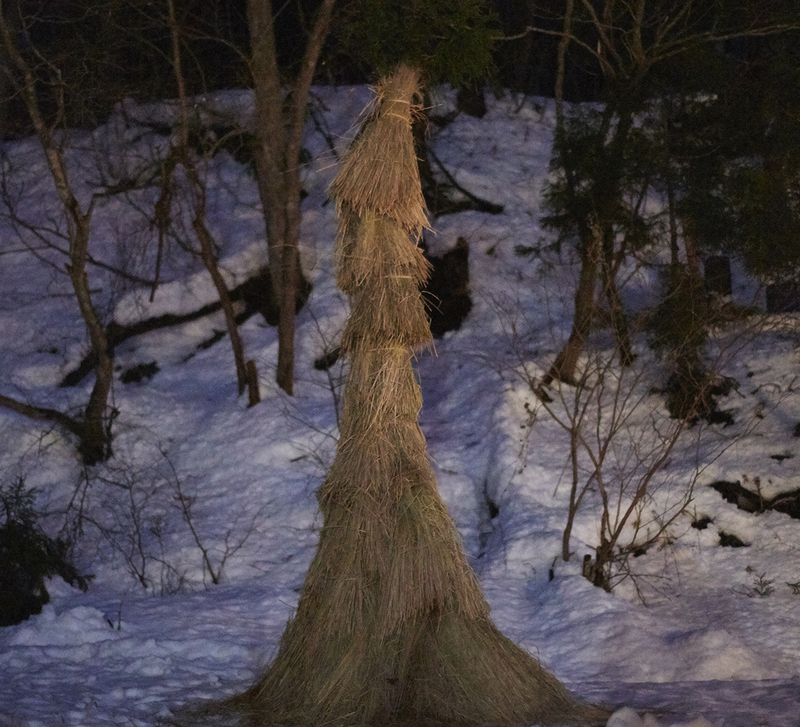 One of the most famous of these is the Yokote Kamakura Festival, also known as the Michinoku Godai Festival. 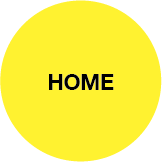 It attracts thousands of tourists every year. 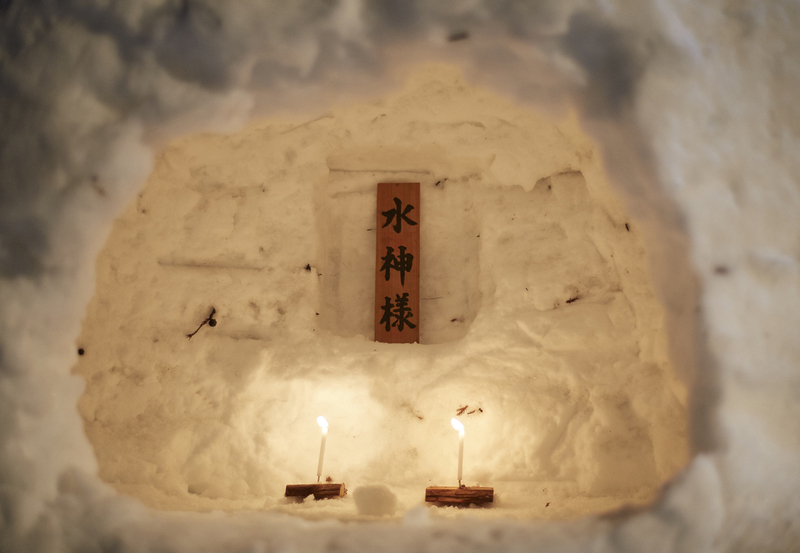 The event is famous because of the hollowed out snow domes that are built in the city for the occasion, although this is by no means the only kamakura event in Akita. 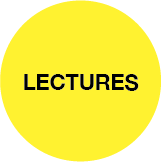 We’re going to learn about some of the different kamakura events held in Akita. Today, I’m in Kakunodate in Senboku, where the Hiburi Kamakura event is held every year. It’s held in various locations around the town of Kakunodate, and I’m visiting one of these, the Yamane area. I’m at a shrine at the venue and I’m talking to some of the men preparing for the event. 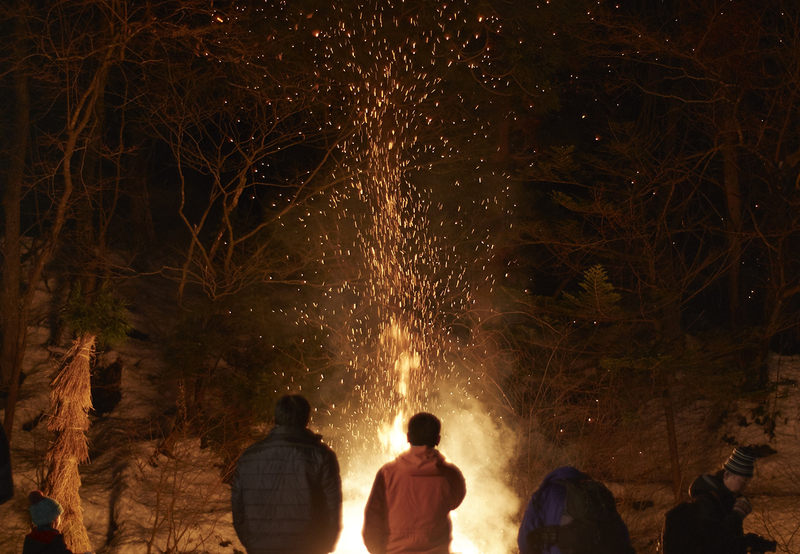 We light a bonfire in the morning at the Kakunodate Shinmei shrine. 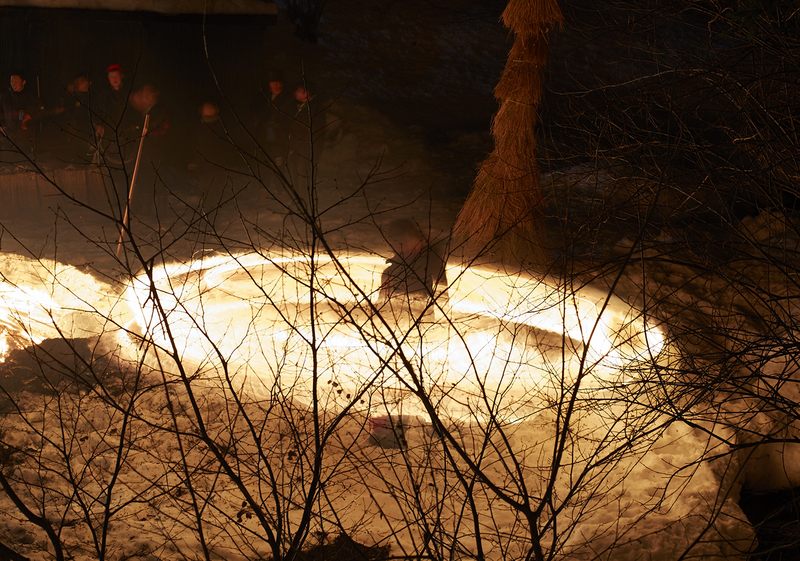 Originally, people used this fire to perform hiburi (literally “fire swinging”) in nearby villages. 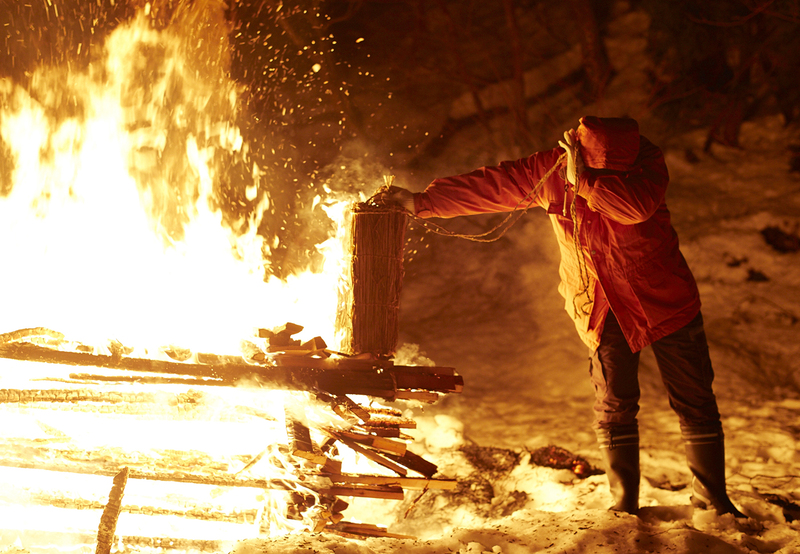 To start with, firewood is set alight in a pot, and two meter long ropes are attached to sacks which are filled with burning charcoal. 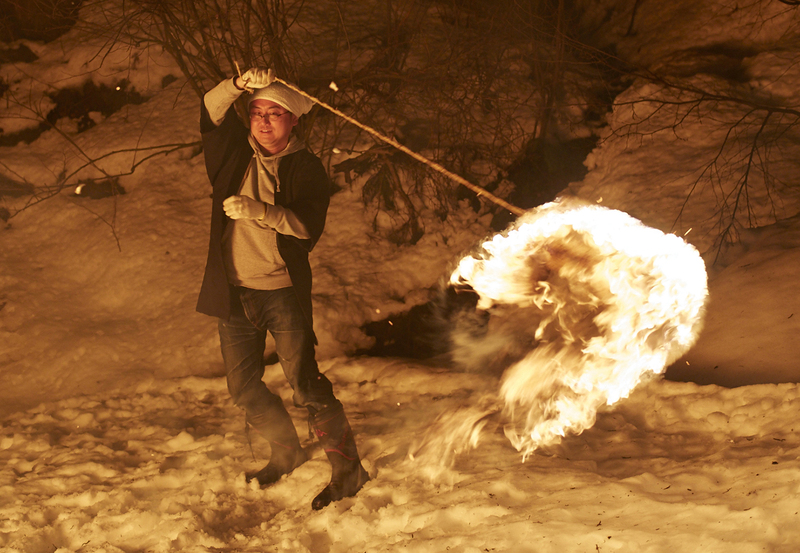 Hiburi is the action of swinging a sack of burning charcoal around yourself. Then at the end we burn tenpitsu. Straw is wrapped round five meter long sticks of wood. These are tenpitsu. People light these and burn them. It’s a way of warding off evil for the coming year. And that’s it. 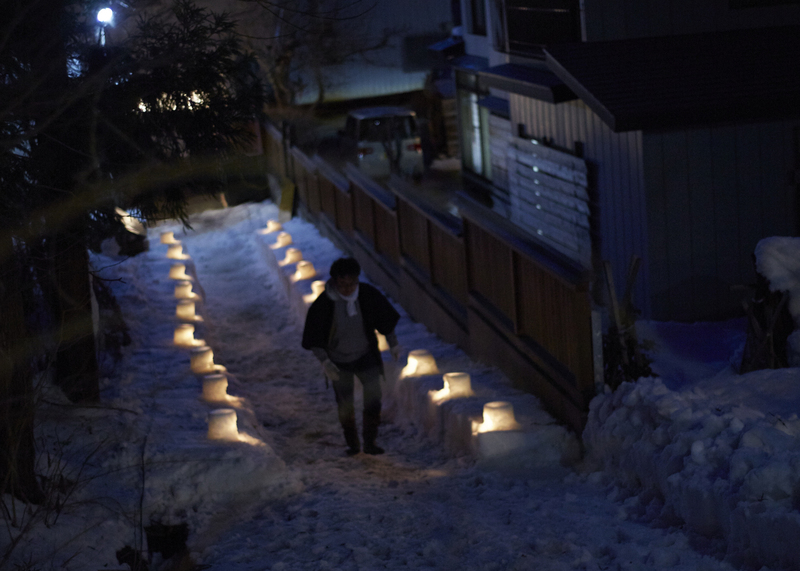 Here in Kakunodate, that series of ceremonies is called “kamakura”. 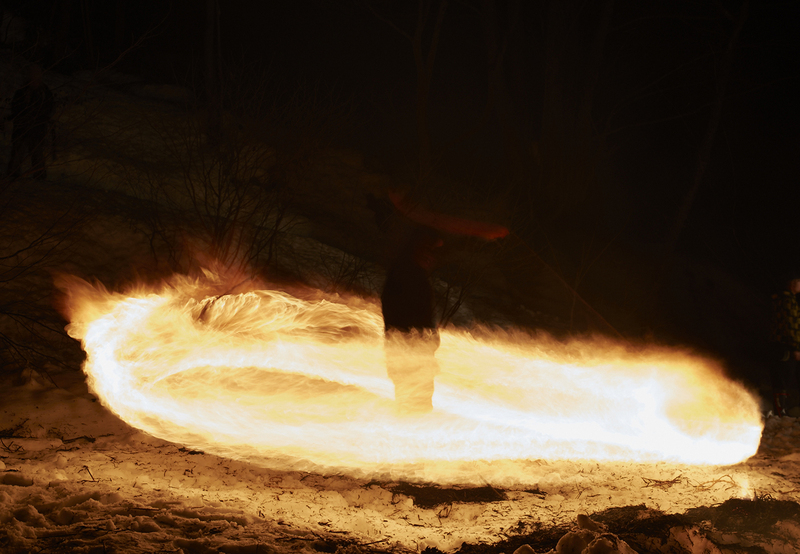 The fire swinging is a prayer for health and prosperity. 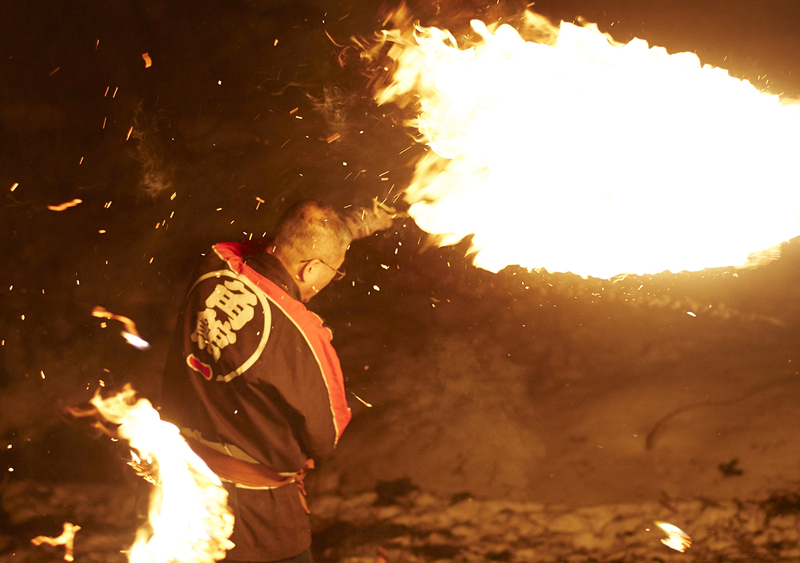 And burning the tenpitsu is also like making a wish for the year, I suppose? Yeah, I don’t know about it in that much detail…(laughs). It’s just something we do every year. We don’t actually think about the origins of it so much! I know what you mean (laughs). 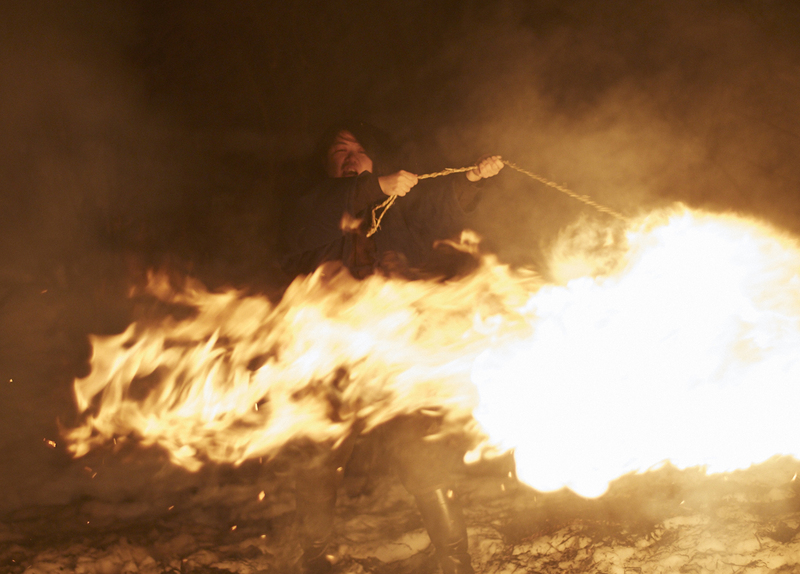 Can anyone do this fire swinging if they want? It’s not just the men, right? No, not all. Anyone can do it! You should definitely give it a try! 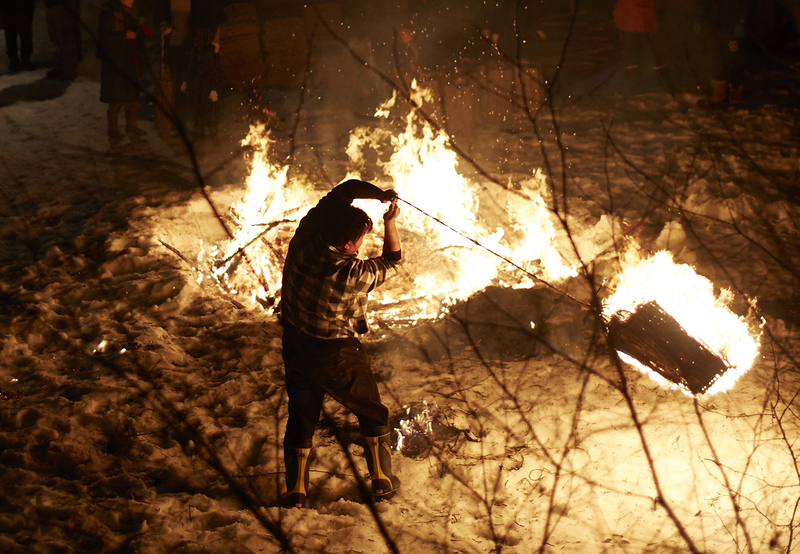 A crowd of people, including children, gather round and a bonfire is lit. Then gradually one or two people start doing the hiburi. 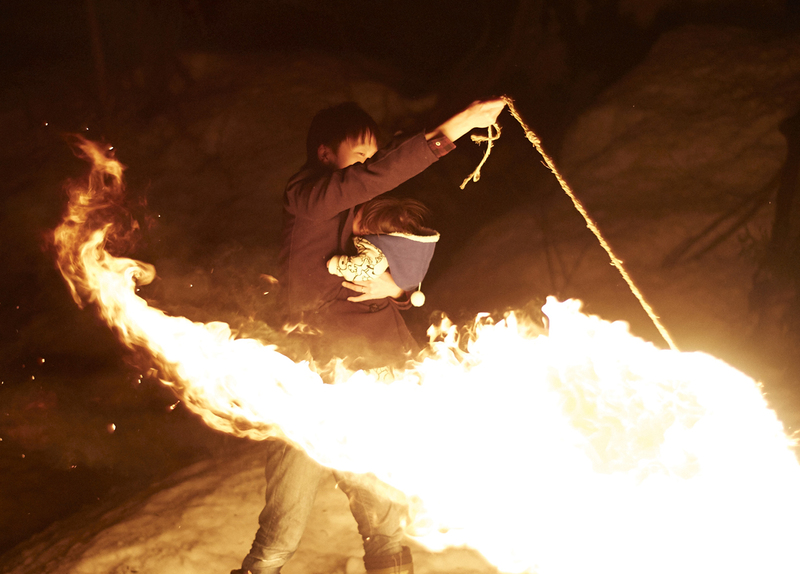 As things get going, there are parents swinging fire with their children, and a little boy doing hiburi by himself. The atmosphere starts to build. He used to be scared, you know. He’d just want to watch with someone holding him, but this year he’s decided to really go for it! He always likes to try things himself. I’ve made this costume for him, you know. Wow! This is exciting to watch! Let’s see if he can do it properly! My heart’s pounding! So exciting! The bags have lids of knitted straw. In the old days this is what the children lit and used for hiburi. They’re called sandara bocchi. I didn’t know that! Look, round and round it goes! Oh! Go! Go! Take it easy! Ha! You’re so good at it! Keep it up! You’re doing so well! 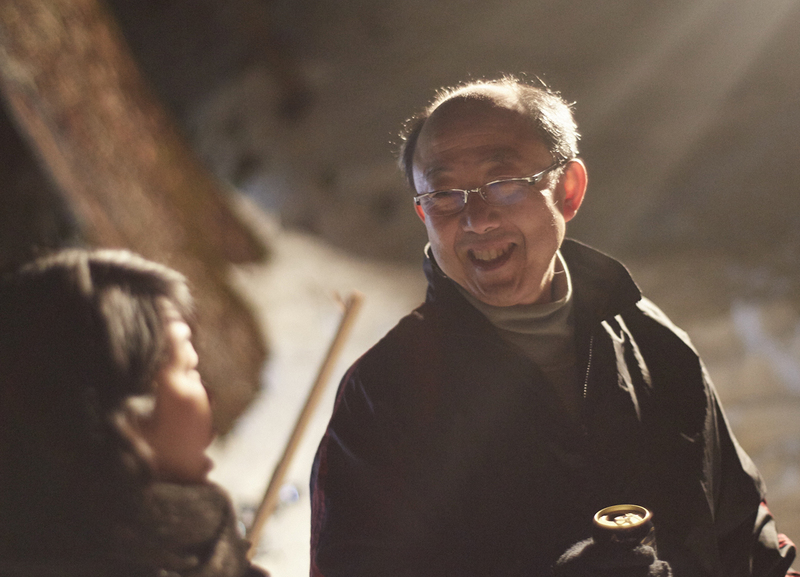 With the fire swinging now fully underway, I’m going to talk to Hideaki Kawarada, a local resident. Akita has lots of koshogatsu events called “Kamakura”. This event has been known as the Hiburi Kamakura for the past 20 to 30 years, but prior to that it was just called Kamakura. 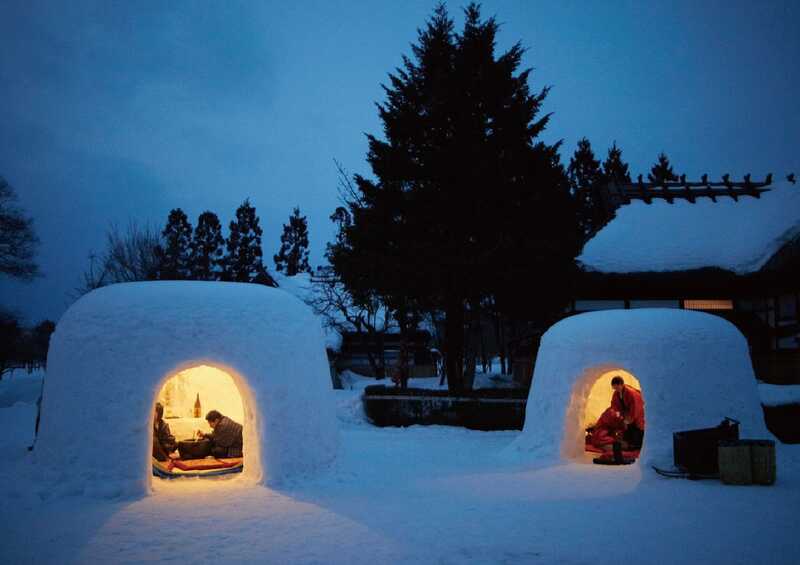 For people round here, Kamakura means fire swinging, doesn’t it, rather than snow domes? Yes. That’s right. 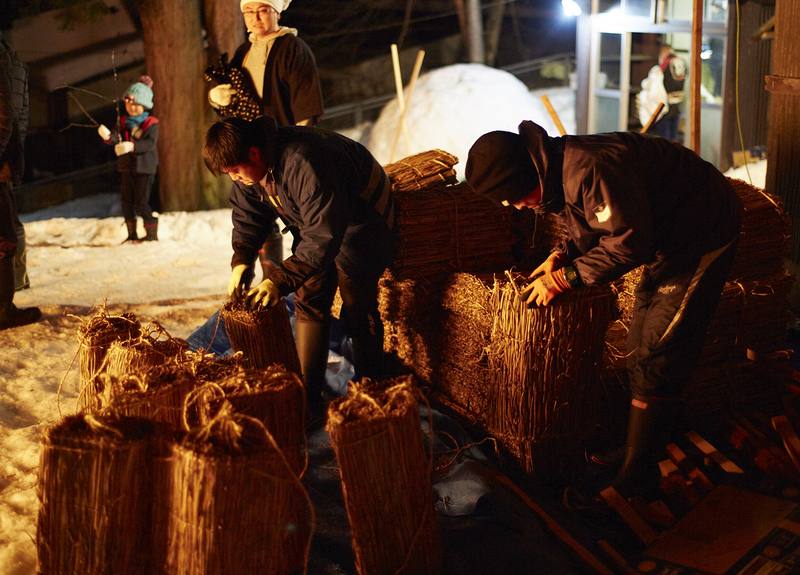 The snow dome event has become more popular in recent years, so we added the word “hiburi” and called this event Hiburi Kamakura to distinguish it. I see! But what’s the origin of the name “Kamakura” in the first place? 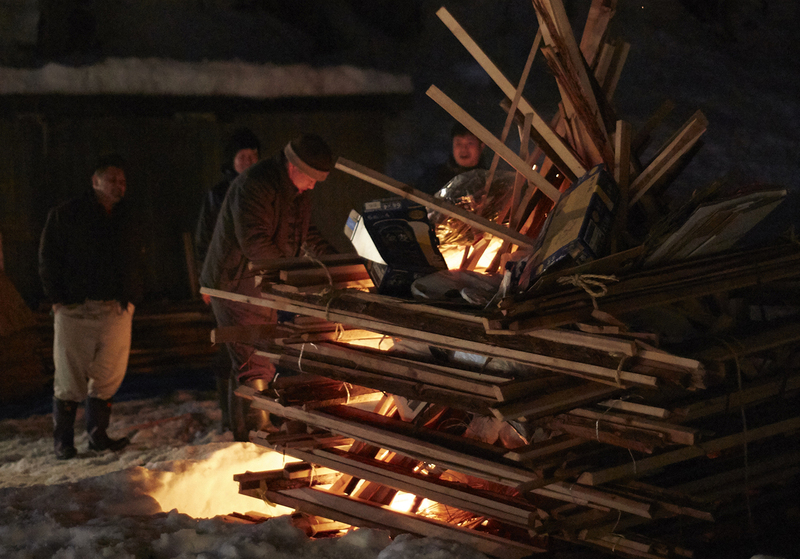 There are many theories about this, but one of the best-known of these is the idea that people used to burn their new year decorations in ovens made from the snow (kamado). So the word comes from these kamado. Ah, I see! Have you been doing this event ever since you were a child? 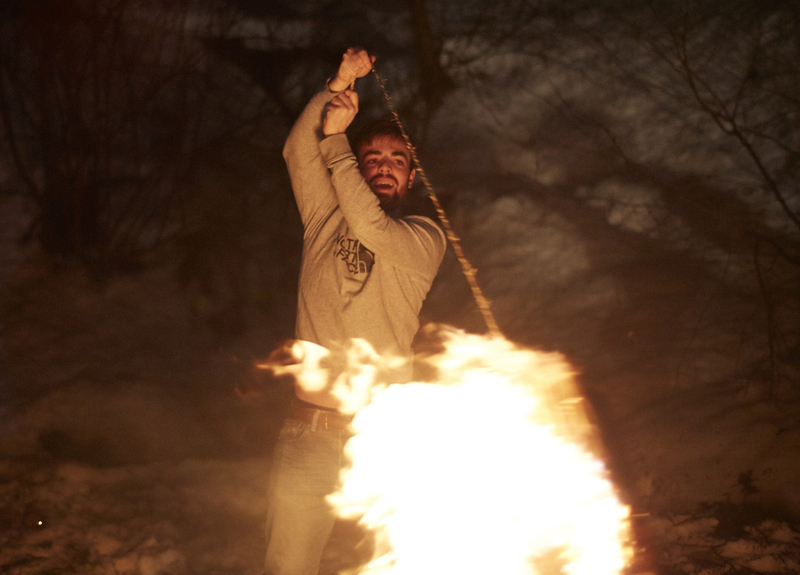 Yep, I’ve been fire swinging ever since I started at elementary school. What was it like the first time you did it? I was really nervous, scared. But by the time I was in sixth grade [11-12 years old], one straw lid wasn’t enough for me. I swung two of them together. Then I tried swinging a straw rice bag. It was so heavy! You swung a bag full of rice?! What you swing now is a sack of charcoal, right? Yes. That’s right. These sacks are made up especially for the event, but in the old days we usually just used bags filled with burning charcoal. You’ve done this event for a long time now. How has it changed since the old days? It’s changed little by little. It’s still pretty much the same as it used to be, but there are a few more pauses and breaks in it now. Is that because there are fewer people participating these days? Yes. That’s right. In the old days, each individual neighborhood took part. The adults helped everyone else, especially the elementary school children, but nowadays there are fewer children around. Some neighborhoods don’t even have a single school child any more. So now different neighborhoods get together to take part. These days the Kakunodate Matsuri no Yama Gyoji held annually in September is the key event for young people. You get lots of children going along to that. I was thinking that today’s event has a fantastic family feeling to it, since so many different age groups are involved. 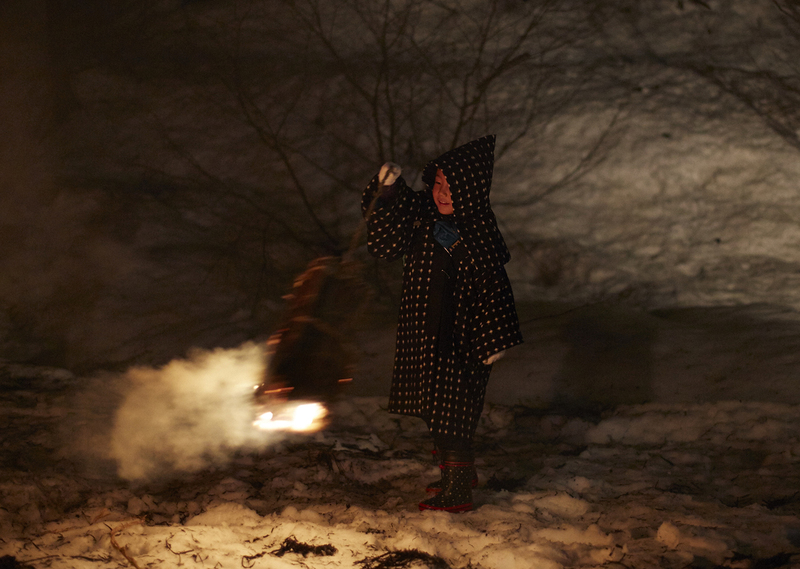 I saw a small child fire swinging earlier……. Yes. We’re getting more and more people coming along every year. So if more small children start to take part again, then the event will get back to what it used to be like. Yes, it really has to have children to work. Have you tried hiburi yet? Er no… I’m a bit scared to be honest. All the other women do it, you know! Just swing it slowly. You want to try? I was nervous about doing this but the locals showed me what to do and I successfully did hiburi for the first time. 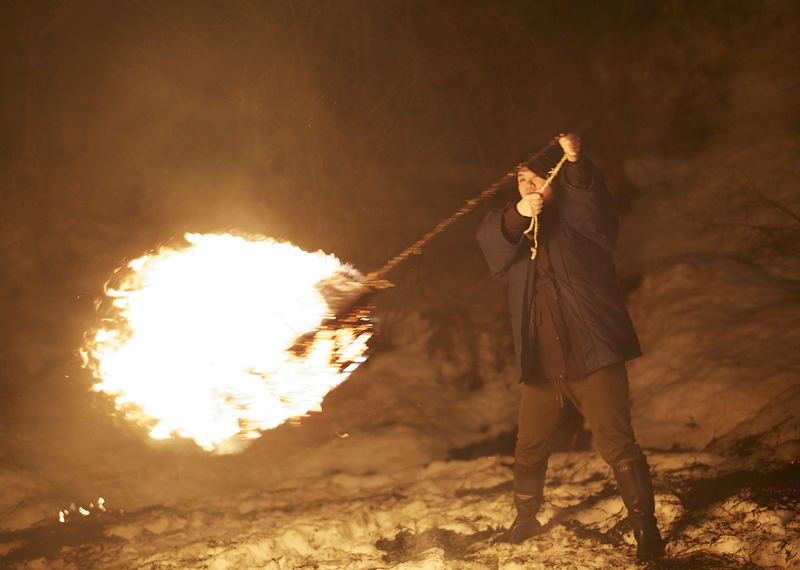 After that, local residents and tourists alike took it in turns to do the fire swinging. Rice cakes and hot food were available. It was a warm and friendly atmosphere, just like one big happy family. 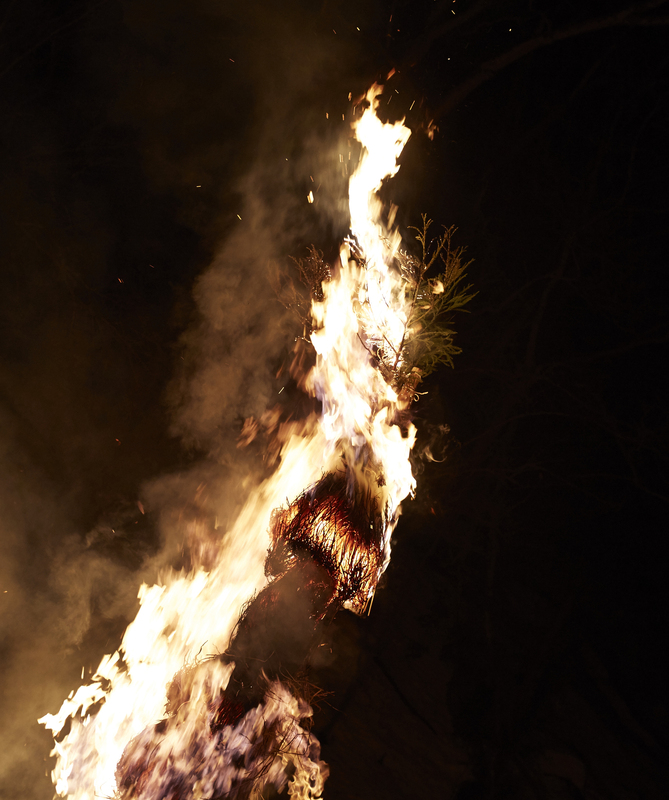 Then at the end, to conclude the event, we burned tenpitsu. Next time, we’re going to find out about another kamakura event, Rokugo Kamakura.